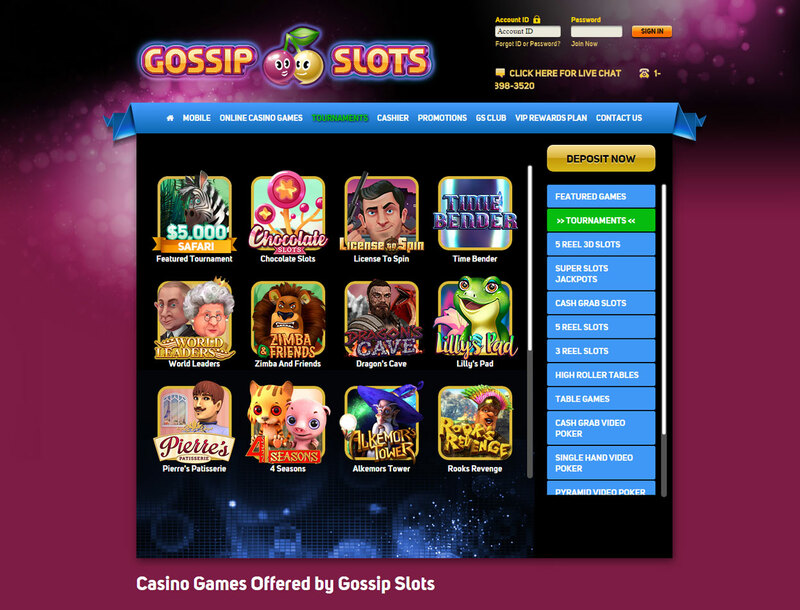 Gossip Slots is about giving you a great time with its incredible slot library. The casino also offers competitive tournaments, generous bonuses, and a VIP program. 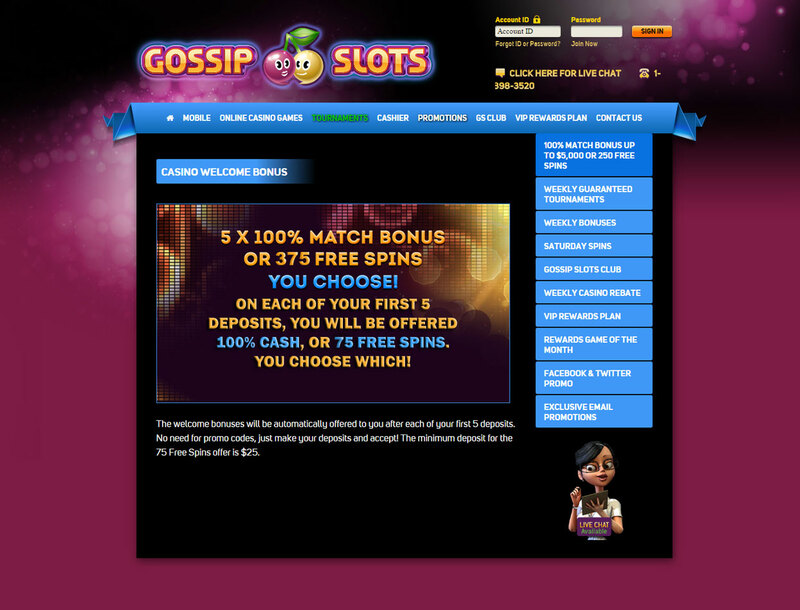 You can get the full tour of Gossip Slots with this Bitcoin slots reviews. 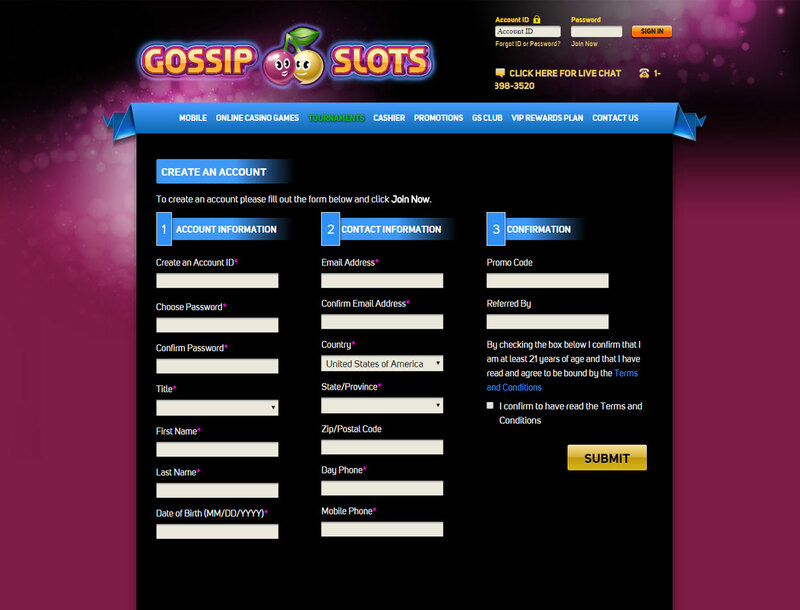 Gossip Slots stays true to its name due to its incredible slots from two of the best casino game makers in the industry. You have the Betsoft Slots3 games which have amazing 3D graphics and animation. Spinning any of its reels will make you feel like you are watching a 3D animated movie that has more than a million dollar in production value. Betsoft is also bringing in its classic 3 reel slots game if you want something more straight forward. Gossip Slots also have Arrow’s Edge slot games in its library. The company’s slot games come in different 2D graphical flavors and gameplay. This includes Board Babe with its Cash Grab Jackpot. Speaking of the jackpot, the casino gives you plenty of opportunities to take home a big payout with its Super Slots Jackpot from Arrow’s Edge and Betsoft’s progressive reels. If you think you are hungry for a bigger prize than others, the casino offers many tournament events for specific games. Simply register in any of the tournament events to join i. 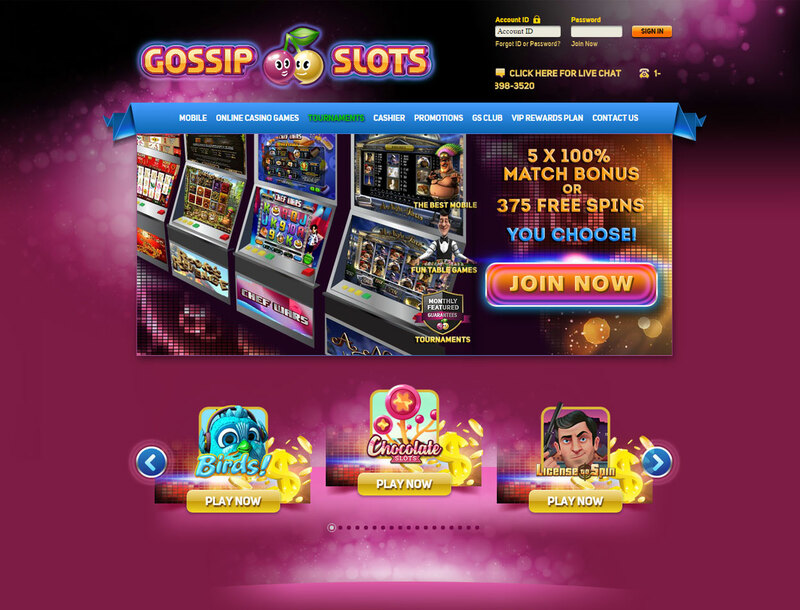 Gossip Slots is one of the few casinos that lets you choose either a massive 250% bonus of up to $2,000 or 150 free spins on your first four deposits. What’s more, you can mix and match the bonuses as well as the free spins. You can turn the bonus and any winnings on the free spins into actual money by meeting the wagering requirement. This requirement is 50 times the bonus and free spins winnings amount. You will also find a great VIP Rewards Plan in this slots casino where you earn points for every $100 that you wager in the casino. You can exchange your points to bonuses, Bitcoin slots free spins, or actual merchandise. Gossip Slots lets you deposit and withdraw your Bitcoin into the casino. The smallest amount you can send in is $25 while the highest is $2,000. When cashing out your bankroll to a Bitcoin deposit, you have one free withdrawal allowance within a 30 day period. Cashing out your bankroll for the second time while within the 30 day period will have a 5% fee. The smallest amount you can take out is $300. The support team is reachable via the live chat support and toll free phone number. Live chat is available Monday to Sunday, 10 am to 12 am EST.